The hotel Barceló Torre de Madrid started to collect internacional awards only two months after its opening. The prestigious British newspaper The Telegraph was one of the first to promote the interior design and layout of the hotel, naming it “the coolest hotel in Madrid”. The new Barceló Torre de Madrid bears the signature of Jaime Hayón, one of the most important figures in contemporary design. 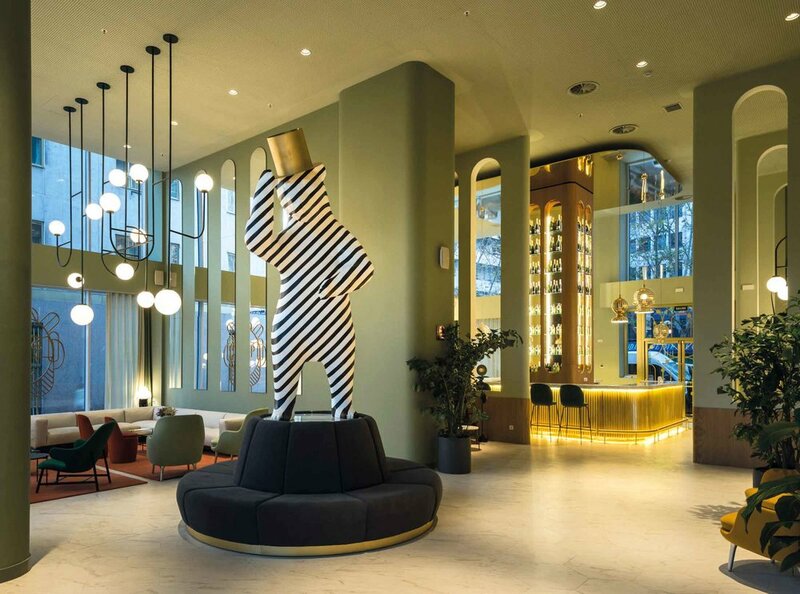 His unique, innovative and creative personality, which has been defined by The Telegraph as ‘eccentric and bold”, is very evident in all the décor throughout the hotel. During the Madrid Hotel Week, you can enjoy the glitz and glamour of the state-of-the-art Lobby Bar Garra, whilst you learn how to create classic cocktails from the time of the prohibition, straight from the hand of our expert mixologist.